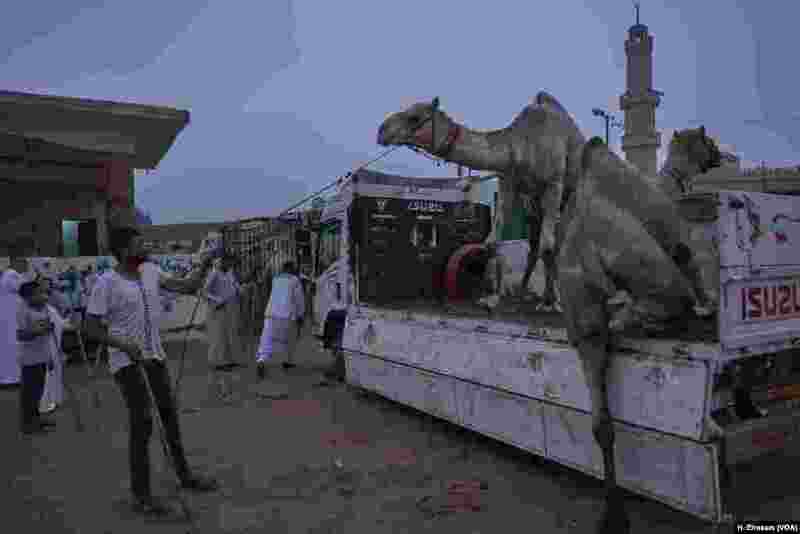 In the weeks leading up to the Muslim sacrifice feast, the Birqash camel market outside Cairo springs to life, with camel sellers and buyers traveling from afar to make deals on the animals which are sold for meat, transportation, and tourism. 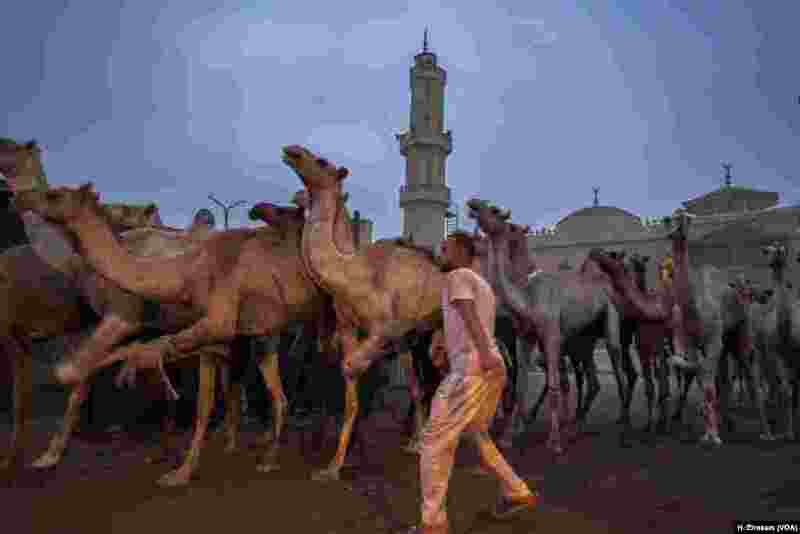 The market is part of a long tradition and a tourist attraction, but under the colorful scene is what animal welfare activists say is a more sinister aspect: some of the animals do not survive the arduous journey on foot from as far away as Sudan. 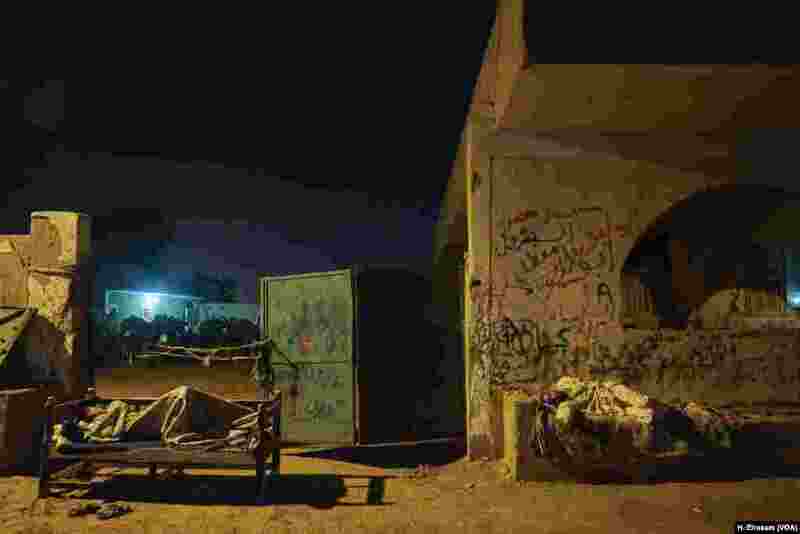 Those who do make it face what activists say is mistreatment that includes malnutrition, beatings and other forms of torture. 1 Opening day at Cairo’s Birqash camel market. In the pre-dawn hours, a boy – stick in hand – keeps camels in place for the start of a busy trading day. 2 Resting up before the frenzy ahead of the feast. After a trek on foot from as far away as Sudan, camel traders spend the night near the camel pens as they prepare for a busy day of trading. 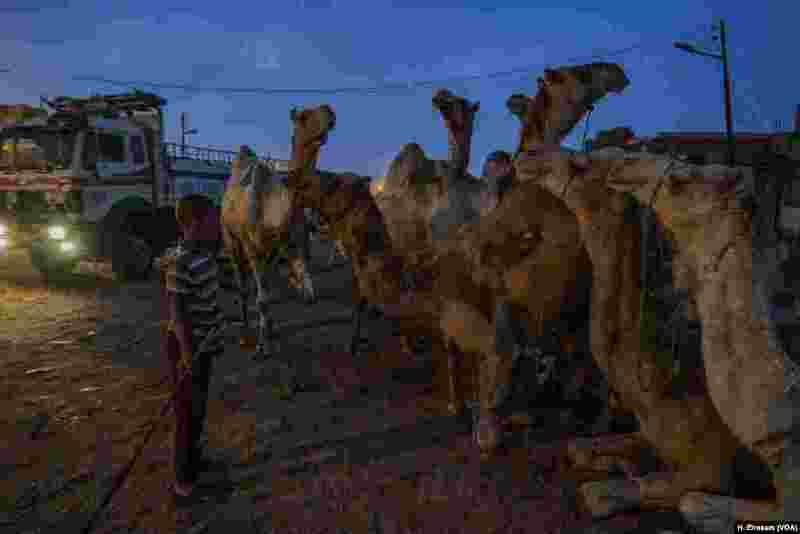 3 A trader takes his herd of camels into the market, hopes an early start will mean good sales. Expectations this year have been tempered by higher prices caused by a dropping Egyptian pound. Currency fluctuations are a factor, since many of the animals come from outside Egypt. 4 Some camels arrive on foot, while others are trucked in. Animal welfare activists say the journey is no easier for those who arrive on trucks. The startled animals are sometimes beaten when they hesitate to climb on or off the vehicles.